The world’s most drought tolerant domesticated bean. The tepary has a high protein content and a unique flavor. An ancient bean of the Akimel O’Odham and Tohono O’Odham tribes of the Sonoran Desert. History has traced these beans back to the ancient Huhukam People. 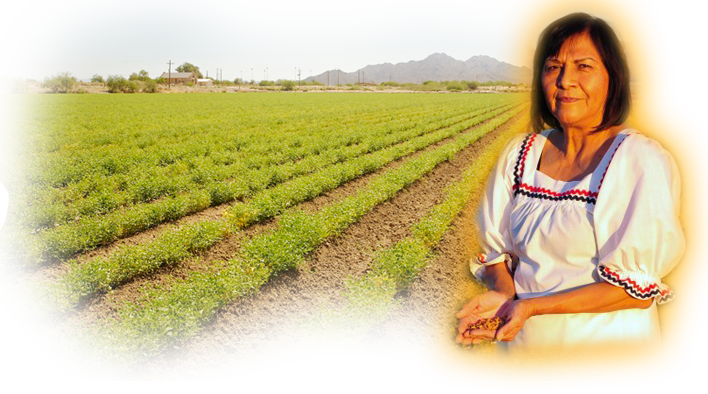 Tepary beans were found in the Casa Grande Ruins, a prehistoric Huhukam structure in Coolidge, AZ. 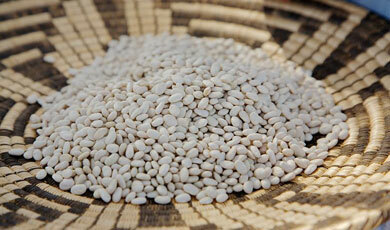 Tasty, easy to digest and probably the healthiest bean on the planet, the tepary bean is native to the Sonoran desert. Tepary beans have more protein and higher fiber than ordinary beans and a lower glycemic index (41-44) so they are a great en­ergy food for dieters and diabetics. They digest slowly so you get sustained energy for up to 6 hours after eating them. They may be used in any bean recipes.